BetteLux Oval baths are created through a combination of high-tech production processes and by master craftsmen - all exclusively at the Bette factory in Delbrück, Germany. The design is the work of the design studio Tesseraux & Partner. The built-in version of the BetteLux Oval almost no longer has a bath rim: The folded rim is only eight mm in height and creates a whole new bath installation effect. The semi-recessed bath option is called the BetteLux Oval Highline. 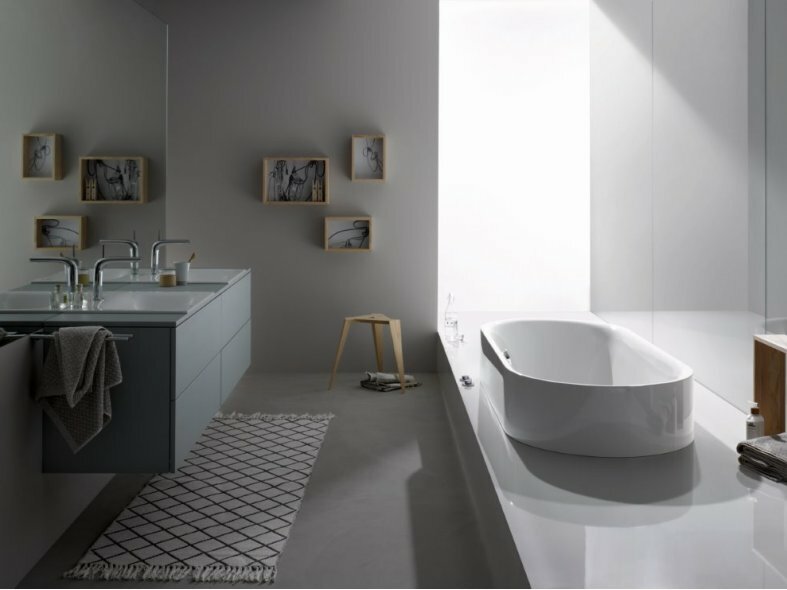 Bette has given the name Highline to those baths that have been developed specially for installation in plinths, opening up new design possibilities. Approximately half of the bath is built into the plinth. This gives the bath rim a height of just 28 cm. In the free-standing option (called the BetteLux Oval Silhouette) the steel/enamel bath is expertly welded to create a jointless monolith which is enamelled in one piece. Free-standing baths are a highlight in the bathroom and create a very personal wellness and relaxation zone. The oval shape lends its own character to this successful bath, creating a relaxed contemporary style. The roundness saves some space and makes the body of the bath sleek in appearance. The BetteLux Oval baths demonstrate Bette's high level of production competence. The bath is created from two pieces, and a thin welded seam, created by hand in the special workshop, invisibly joins the bath core to its skin. It is then fused and meticulously finished, before the glass-like enamel coating permanently refines the surface. State-of-the-art computer-controlled production systems are supplemented by hand craftsmanship to create a perfect bathroom product. Bette first realised this concept of a jointless steel/enamel bath a few years ago, and went on to further perfect it. The material and the workmanship ensure that the bath will remain stable and won't warp when used for either bathing or showering. 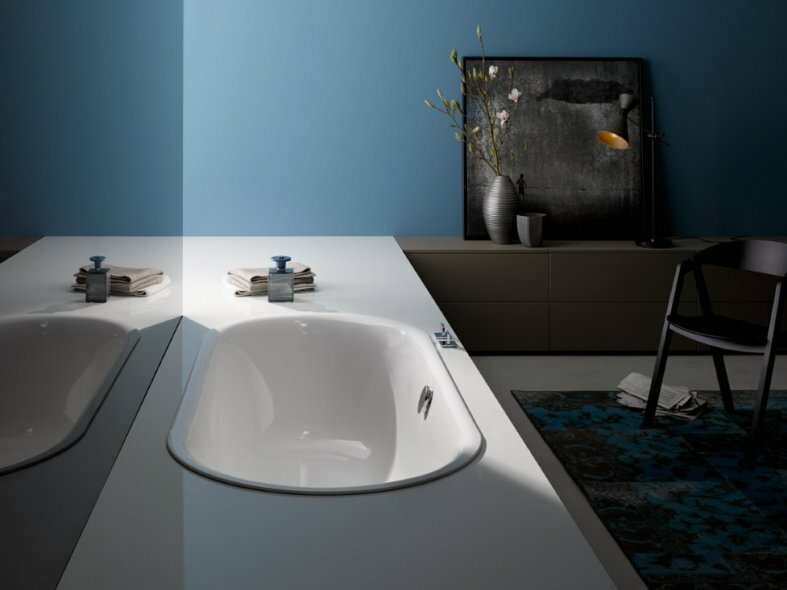 To match the BetteLux, Bette offers an extensive range of washbasins in the same design. These are also made from steel/enamel.